Visit the Department of Medicine for information about our residency program, faculty, and research. This elective course combines clinical experience in the evaluation of genetic disorders with basic understanding of medical genetics. The clinical experience involves assisting in obtaining family pedigree, physical examinations of patients, investigative tests, differential diagnosis and genetic counseling. The course includes a rotation through the CytogeneticsLaboratory and the Biochemical and Molecular Genetic Laboratory with emphasis on the application of new cytogenetics and molecular genetic discoveries to clinical genetic practice. The topics to be discussed are: 1) Clinical case reports; 2) Disorders of inborn errors of metabolism; 3) Chromosomal syndromes (cytogenetic, molecular cytogenetic diagnosis, and comparative hybridization arrays) and 4) Molecular diagnosis. A short presentation on a case of interest is required. This clinical elective in internal medicine affords the visiting medical student opportunity to develop advanced skills in comprehensive patient evaluation and management under daily supervision of medical faculty through the care of patients admitted to the housestaff service at UT Medical Center. The objective of this course is to learn about pathophysiology, the appropriate diagnostic process, and the best management techniques for common medical problems and acute medical emergencies in the Critical Care Internal Medicine setting. Our goals include learning the technical and interpretative skills of common procedures performed in a Medical ICU (ventilator management, arterial lines, Swan Ganz catheters, etc.) 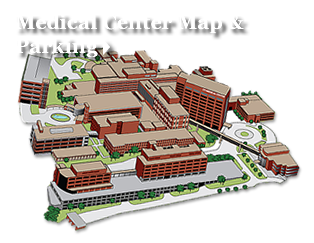 The student will be expected to be the primary care provider for one or two critically ill patients under the supervision of an upper level medicine resident and critical care attending. The student will perform the admission history and physical examination and write the admission orders (under the supervision of the upper level resident). In addition, the student will present the patient on rounds in a problem and organ-oriented fashion. Daily orders will be written by the student on management rounds with the critical care attending. The student will also write problem-orientated daily notes and will be responsible for seeing that therapeutic plans are carried out. This is a clinical elective offering the student an intensive experience in clinical cardiology under a single preceptor cardiologist for a four to five week period of time. During that time, the student will evaluate and follow a number of the cardiologist's patients, participate in their care, and accompany them to the cardiovascular laboratory and cardiac surgery as indicated. Students will attend cardiology conferences, twice-weekly teaching rounds, weekly EKG teaching sessions and review a prepared sampling of the literature. Other literature reviews will be suggested as clinical material warrants. Advance registration required - students must call Knoxville Student Affairs at least 3 blocks prior to registering. This elective is designed to provide an opportunity for students to observe the outpatient evaluation and management of patients with a wide variety of endocrine disorders, including thyroid and parathyroid disease, osteoporosis, multiple endocrine neoplasia, pituitary disorders, etc. Students will work under the direct supervision of nine BC practicing clinical endocrinologists. Students can observe patients undergoing thyroid ultrasounds, U/S-guided fine needle biopsies of thyroid nodules, radioactive iodine therapies, and bone density testing. Additional experience in evaluation and intensive outpatient management of diabetic patients using insulin pumps, continuous glucose sensing, and multiple daily injection regimens will be incorporated through time spent with several specialized physician extenders and Certified Diabetes Educators in our office. This elective is designed to acquaint the student with the clinical approach to the patient presenting with a GI illness including a pertinent history and physical, intelligent selection of laboratory, x-ray, and endoscopic studies to the ultimate culmination of diagnosis. Clinical management of the patient and therapy will be emphasized. This elective introduces the student to disease of the hematopoietic system/Oncology, their diagnosis and management by combining clinical experience and introduction to relevant research in hematology oncology. 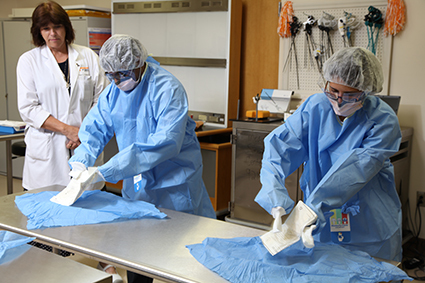 Students will spend part of their time on the clinical service and part in the laboratory. This elective will be to teach the student how to be an effective consultant and assist the student in improving his/her knowledge of infectious diseases. Upgrade the student's knowledge regarding the use of antimicrobial agents, and improve the student's understanding of the diagnosis and management of commonly encountered infectious diseases with attention to the use of the history and readily available laboratory tests. The student will be responsible for five new patients workups per week. Attending rounds will be held at least five days per week. At attending rounds the student will present his/her new patients to the attending physician. At the time of presentation the student should also have formulated an assessment and plan. The student will see new patients, make daily rounds on his/her old patients and be present at attending physician rounds. He/she will be responsible for a daily update of his/her patients to the attending. Faculty and residents will review patient assessments and plans of therapy. Students will participate in the outpatient clinics for HIV, TB, and STDs at the Knox County Health Department. Each student is given assigned reading materials. In addition, books on antimicrobial agents are given to each student for them to keep. Medical clerks in their senior year may elect a one or two month rotation in University Rheumatology. The purpose of this elective is to develop an approach to the assessment and management of articular diseases such as osteoarthritis or rheumatoid arthritis and of systemic rheumatic disease such as systemic lupus erythematosus. This includes an understanding of and proficiency in the musculoskeletal exam. The format of this rotation is that of a clinical preceptorship. Students will have the opportunity to evaluate, present, discuss, document and participate in the management of private patients in the office setting and hospital consults. In these activities students work one on one with experienced faculty. Teaching will include brief clinical lectures, case discussions, musculoskeletal x-ray reviews and demonstration of routine joint procedures such as aspiration and injection. At the beginning of the rotation, students will be given the 700 page Primer on the Rheumatic Diseases with suggested reading selections. In addition, students will participate in the Department of Medicine conference schedule including noon didactic lectures.